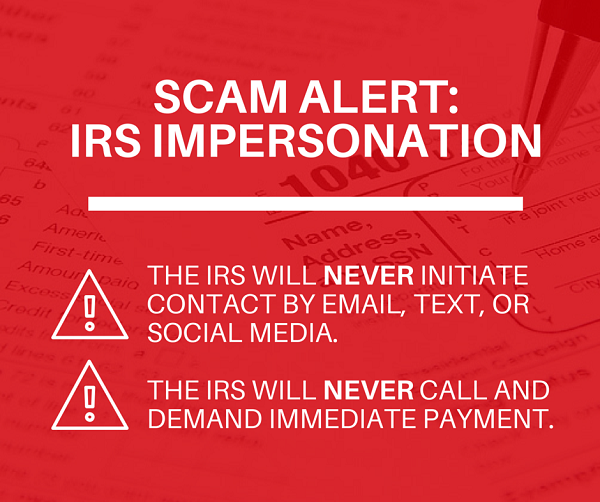 The IRS and its Security Summit partners – the state tax agencies and the private-sector tax industry – are conducting a campaign to raise awareness among taxpayer and tax professionals about increasing their security and becoming familiar with various tax-related scams. Learn more at Taxes. Security. Together. or Protect Yourself.